Dating to 1709, this NYC Landmark and National Historic Place is tucked away in Ridgewood. 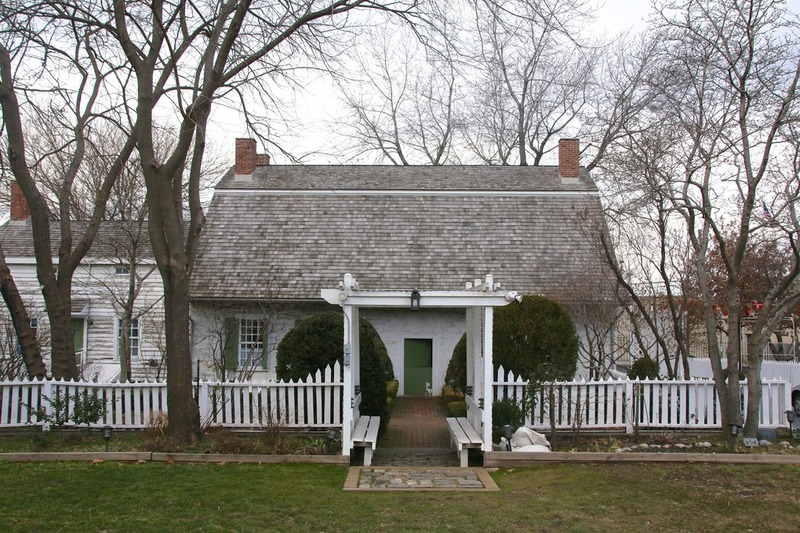 Few people know or have heard of the Vander Ende-Onderdonk House, an unassuming two-story house with a gambrel roof at first glance. 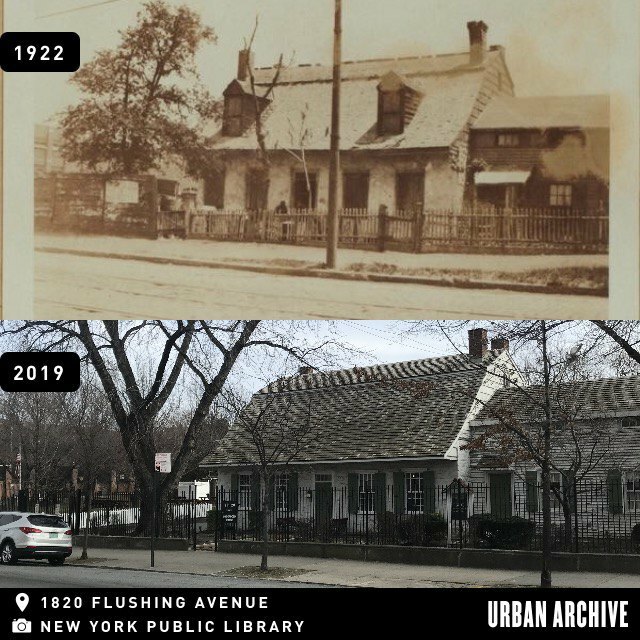 Tucked away at 18-20 Flushing Ave. and situated in Ridgewood, adjacent to the Bushwick border, the small stone house is remarkable in that it has stood on the same spot for over 300 years since the days of Nieuw Amsterdam, Breukelen, and Boswijk. The house now serves as a museum open to the public and as headquarters of the Greater Ridgewood Historical Society, whose mission is to provide visitors with a rich educational and cultural experience of the one-of-a-kind New York City Landmark. 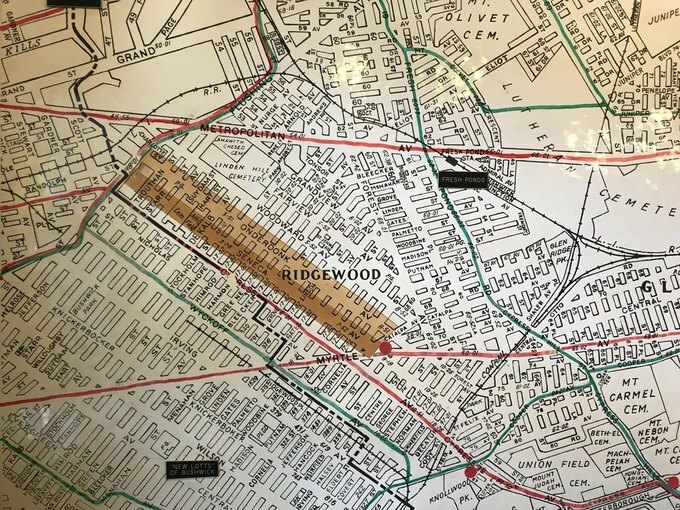 “It’s one of the last bits of history left in this neighborhood, which is full of so much history being right on the Brooklyn and Queens border,” Greater Ridgewood Historical Society President and Events Coordinator Steven Monte said. “It’s one of the last places left where we can see where we come from as New Yorkers, and it’s refreshing to come here and step back in time.” The influence of this early Dutch time period is apparent in many American staples today, such as apple pie, coleslaw, apple cider, doughnuts, pancakes, and bowling. The Onderdonk House. Image courtesy of author, New York Public Library and Urban Archive. The story of the Vander Ende-Onderdonk House begins in the mid-17th century, during the Dutch period when New York was known as New Amsterdam. Peter Stuyvesant, the last Dutch Governor before the English takeover, granted a parcel of land in Boswijk (Dutch, meaning “little town in the woods”) to Hendrick Smidt, a Dutch farmer and silversmith, who in 1661 occupied a small wooden house on the property. The foundations of the present-day landmark were established in 1709 when the Vander Ende family purchased 100 acres of farmland and constructed a 34-by-43 foot fieldstone house in the Dutch-Colonial style. 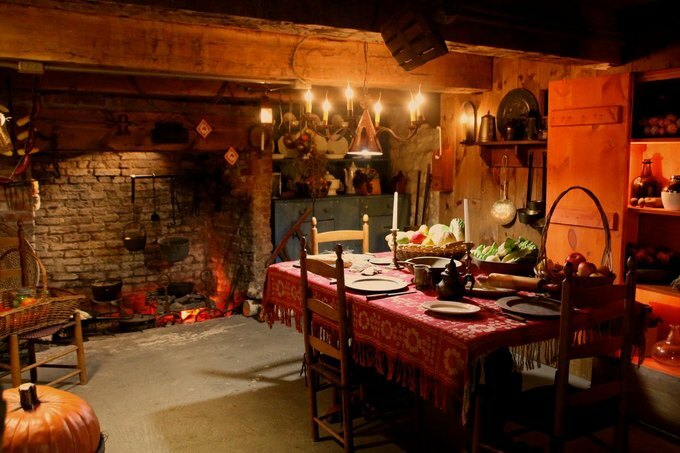 The colonial home’s original walls, fireplace, and chimney from this time period still exist today. Their farmland stretched from present day Flushing Avenue to Wyckoff Avenue, between Onderdonk and Seneca Avenues, with this narrow demarcation, because 18th century properties were taxed by the their frontage in relation to the main turnpike toll road (today’s Flushing Avenue). Farm footprint. Courtesy of author. Proximity to the turnpike made the Vander Ende farm a prime location, and the property was also situated close to Newtown Creek, enabling the transport of goods like cabbage, sauerkraut, butter, eggs, corn, squash, and cider by barge to Manhattan markets. Arbitration rock. 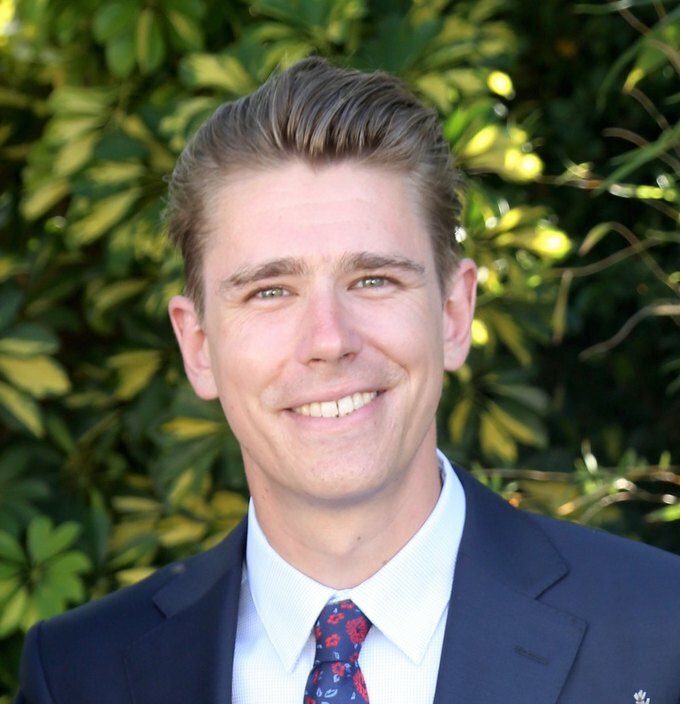 Image courtesy of author. This location became the focal point of a fierce border dispute between the Dutch-settled town of Boswijk (later Bushwick), Kings County, and English-settled Middleburgh (later Newtown), and Queens County as they both expanded. A 1769 survey eventually settled the matter with the placement of a massive Arbitration Rock 300 feet north of the Vander Ende House, officially marking the borders between Kings County south of the rock and Queens County to its north. 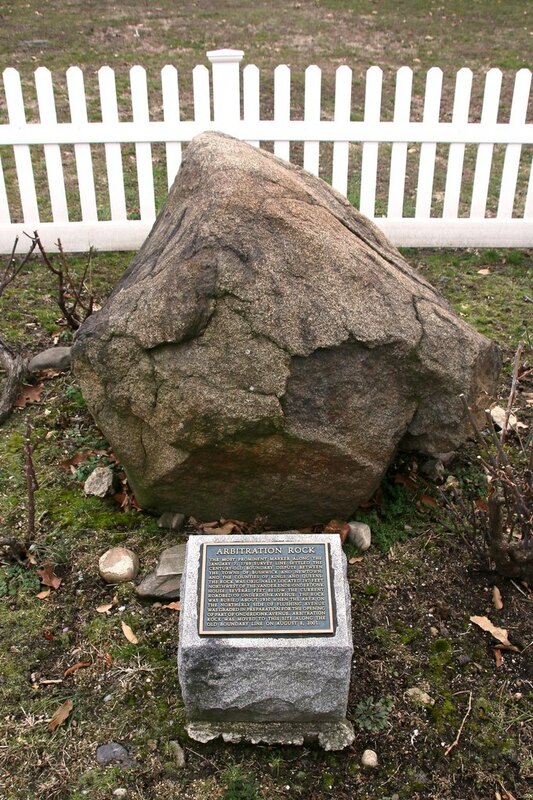 The Arbitration Rock still exists today, preserved and relocated to the Vander Ende-Onderdonk House’s rear in 2001, though the house is officially in Queens after adjustments of the county borders in 1925. After the Vander Ende family left, the property changed hands between the Beadel, van Nuys, Cozine, and Ryerson colonial families before the land was purchased by Adrian Onderdonk in 1821 after marrying Ann Wycoff. The Wycoffs, an old and prominent Dutch-Brooklyn family, owned several adjacent farms and houses to the Vander Ende House (think: Wyckoff Avenue). Descendents of the Onderdonk-Wyckoff marriage lived in the house through the 1800s until 1912, when the property was again sold and used as a scrap glass business. In the following decades the house and surrounding property went through many uses, including as a livery stable, speakeasy, offices for a greenhouse manufacturing company and even for fabrication of spacecraft components by the Suisse-O-Matic Company until it was vacated and abandoned in 1973. Inside the Onderdonk House. Image courtesy of author. In 1975 a fire severely damaged the building, and preservation efforts began in earnest. “Some concerned citizens knew that it would just be torn down and another factory would be built,” Monte said. “They knew it was a historic house, and they were able to save the house by raising money and getting funds from the city.” The locals established The Greater Ridgewood Historical Society and in 1977 the house and property were listed on the National Register of Historic Places. With the help of Federal, State and local funds, the Onderdonk House was overhauled and opened to the public in 1982, and given New York City Landmark status in June 1995. The House is a public museum and private venue space, and is open to the public Saturdays and Sundays 1 p.m. to 5 p.m. and Wednesdays 3 p.m. to 6 p.m. Two rooms are configured to reflect typical life in Colonial and Victorian eras, and there are rotating exhibits relating to colonial history, archaeology, arts, and culture. Educational programs are offered for schools with field trips teaching history to elementary and high school students. Cover photo courtesy of Queens Historical Society, author.